We all know the Easter story: Jesus died on the cross on Good Friday, and three days later He rose from the dead on Easter Sunday. 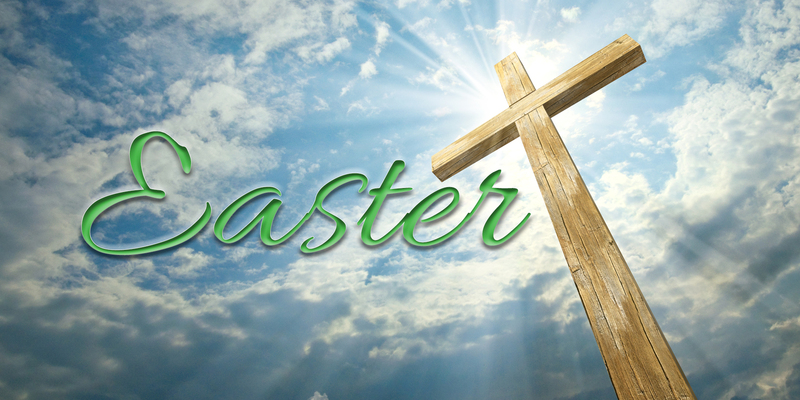 Sometimes it’s easy to devalue the story of Easter because it’s been heard so many times. But this year let’s focus on the one thing that cannot be overlooked: Jesus chose to sacrifice His life for us because He knew it was the Lord’s will. Jesus asked God that if there was any other way He saw fit to change the outcome of this situation (dying on the cross), to please change it. But if He didn’t, then Jesus would die knowing it was absolutely God’s plan and not His own. Leaving it up to God’s ultimate design, Jesus suffered and died for our sins. He didn’t know if the outcome would change. Maybe God would come in at the last minute and spare His life. Maybe God would have changed the minds of every single person who witnessed the Passion and then they decide to not hang Jesus from the cross. But that wasn’t the plan, and Jesus suffered knowing full well it was for a much bigger purpose. What would happen if we used that perspective in our everyday lives? Would it make the times of suffering a little more bearable knowing it’s part of a much bigger plan? Perhaps. Suffering isn’t easy. God never said we would live a life free of pain. But He did say that if we followed His plan we would live a life full of grace, purpose, love, and hope. This Easter don’t allow indifference in your heart. Instead, focus on the fact that over 2,000 years ago Jesus trusted in God’s plan knowing it would be you who He died for.